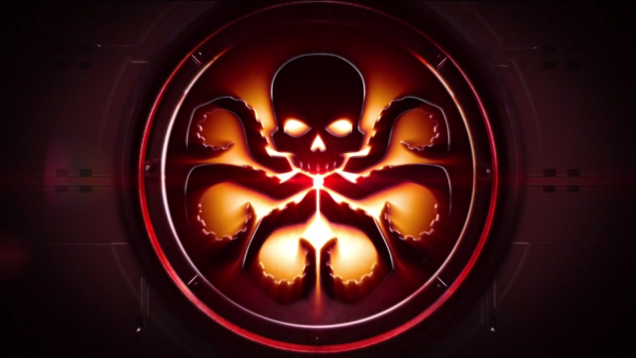 I have to concede that it seems like the showrunners on Agents of S.H.I.E.L.D. were playing the long game and creating the illusion of a show that’s a little too low-stakes, a little too pat, with too few actually threatening antagonists. That’s all changed, and in keeping with the show’s mission statement and its purported, but oft-ignored place in the Marvel Cinematic Universe, the change was precipitated by big-screen events. If you haven’t seen Captain America: The Winter Soldier, you should probably stop reading right now. As the episode’s title, “Turn, Turn, Turn” implies, this week’s show was packed end to end with twists, turns and betrayals. No one on the show will ever be able to trust anyone else again. 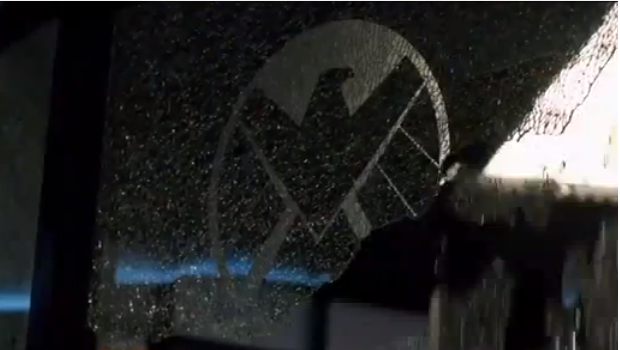 It’s all built on the big reveal that made The Winter Soldier so earth-shattering: S.H.I.E.L.D. has been infiltrated from the inside by Hydra, and this goes back decades. This episode finds S.H.I.E.L.D. in its death-throes, tearing itself apart from the inside as activated Hydra agents do their best to take over. This leaves Coulson’s little team not only on a course towards certain death, as Agent Victoria Hand remotely hijacks the bus, but also at odds with each other. 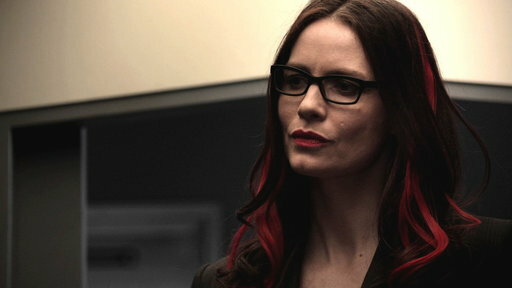 Agent May has been informing on Coulson to parties unknown. Ward, showing an uncharacteristic lack of restraint, killed a decoy Clairvoyant last episode, eliminating the team’s best chance at getting answers. Fitz and Simmons have gone behind Coulson’s back to further research the mysterious compound that brought Skye and Coulson back from the dead. Things look bleak, and before the episode is over, they get bleaker. While unable to trust each other, the team has to evade capture and execution by Hand, while also rescuing a very confused, very frightened Simmons from her custody. Even as the team goes into action mode, they can’t be sure who is an enemy and who isn’t – as far as other S.H.I.E.L.D. agents are concerned, our little unorthodox, insubordinate crew is extremely suspicious. Maybe they’re Hydra. Or being manipulated into doing Hydra’s dirty work. Throughout the season there has been a lot of teasing of monumental secrets that have turned out to be ultimately underwhelming, so I really couldn’t have expected to be on the edge of my seat the whole time. I was even skeptical seeing interviews with the cast and producers, in the wake of The Winter Soldier, promising a new paradigm for the show where the team will have to operate without the safety net of a well-funded intelligence organization beneath them. I just didn’t see how they could elevate the stakes. “Turn, Turn, Turn” is, honestly, fantastic. I can’t say much else, because I really don’t want to spoil the surprises for you, and there are many. Instead, I will say that despite the missteps, the mediocrity, and the sheer boredom that Agents of S.H.I.E.L.D. has subjected me to this season, I am now really and truly excited to see what happens next. In fact, it could very well be that the last few episodes of this season retroactively improve everything (well… almost everything) that has come before. The main reason why this episode is such a gut-punch isn’t because of the big events. S.H.I.E.L.D.’s collapse serves mainly as a catalyst for surprises from characters that I’ve slowly gotten to know. Yes, I’ve mocked and derided them, and questioned the necessity of their adventures, but at least I thought I knew what they were about. I really don’t anymore. And that’s pretty damned exciting. This entry was posted in recaps, television and tagged Agents of SHIELD. Bookmark the permalink.